This article is meant to assist you with readmitting a case. 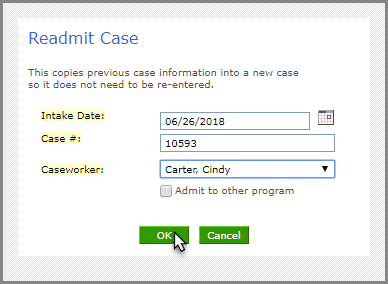 When a child, who was previously in your care, returns, you can re-admit the case, thereby simplifying data entry. Readmitting a case creates a new case. Step 1. 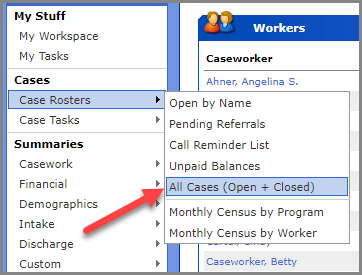 Access the foster care case you wish to re-admit. Click on the name of the case you will be readmitting.